TORONTO, ON – The Liquor Control Board of Ontario (LCBO) has announced that it is the first Canadian liquor agency to receive an allocation of the 2013 edition of Samuel Adams Utopias, with sales of the much sought after beer to open later this this month. As with previous vintages, this year’s edition of Utopias is a blend of various barrel-aged beers, including for the first time this year a portion of Kosmic Mother Funk, a Belgian-style ale barrel-aged for up to two years in Hungarian oak tuns. Utopias is known for its tobacco and darker fruit notes, and drinkers will continue to notice this character from previous batches, but the KMF blend (also used in Samuel Adams Barrel Room Collection beers) brings a whole new spectrum of flavors and complexity to the beer, including brighter fruit notes in the finish and just a hint of sourness which tones down the sweetness of the brew a bit. For the 2013 batch, the brewers also aged a portion of the beer in hand-selected, single-use bourbon casks from the award-winning Buffalo Trace Distillery. This additional aging process enhances the beer’s distinct notes of vanilla and maple. The 2013 release also spent time in Port casks from Portugal, which contribute elegant, dark fruit aromas. 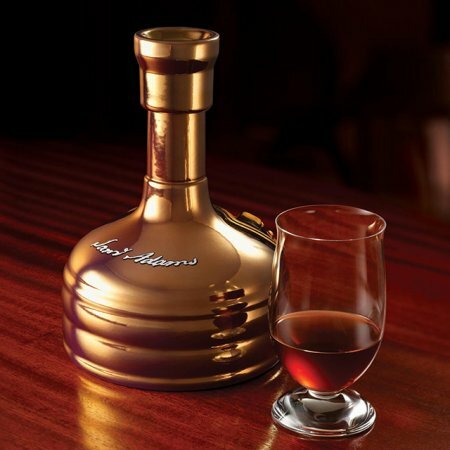 The resulting release of Utopias has notes of dark fruit like fig, subtle sweetness, and a deep rich malty smoothness. Utopias 2013 weighs in at 28 percent alcohol by volume (ABV). The approximately 600 bottles of Utopias 2013 available in Ontario – up from the 400 available last year – will go on sale on Friday November 22nd at 8:30 AM, selling for $114.95 per 710 ml bottle. Sales will be limited to one bottle per customer, and will be sold exclusively via the LCBO phone ordering service at 1-800-668-5226 or 416-365-5900 while supplies last. Payment must be made at time of ordering using a credit card, and orders will be shipped at no additional cost to any LCBO store in the province for customer pick-up. For more details, see the full media release from the LCBO.